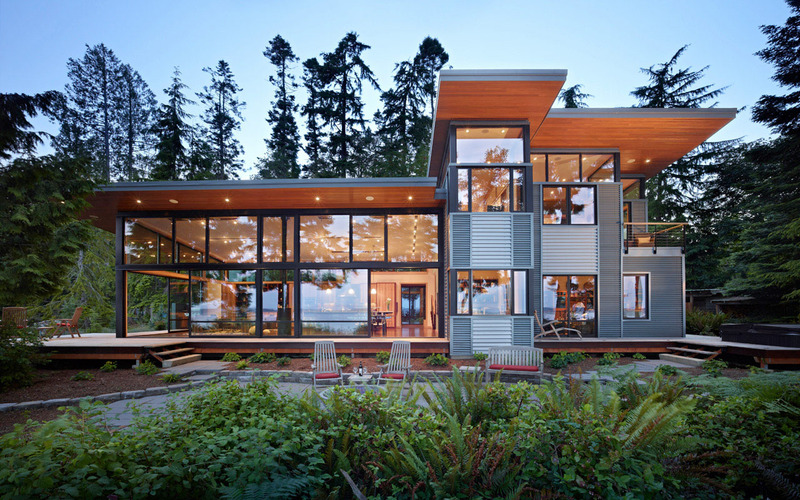 Designed by Finne Architects, The Elliott Bay House in Seattle, Washington is situated on a site facing Puget Sound. 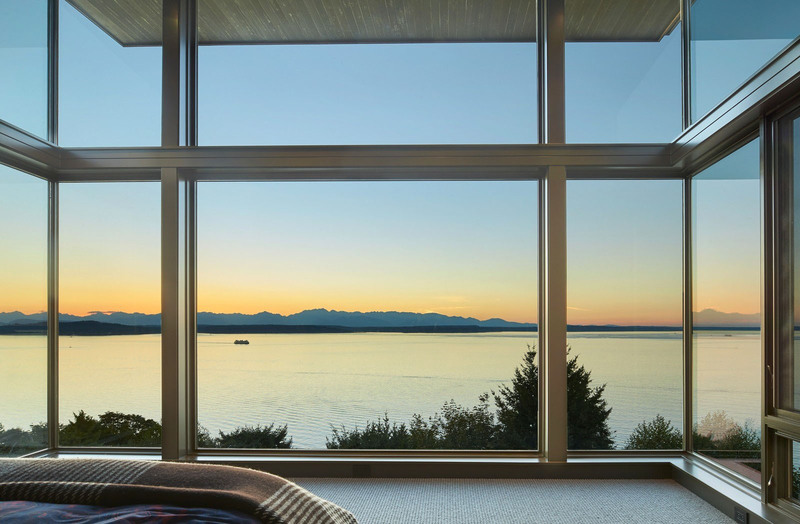 The main living room has dramatic westerly views of Puget Sound and the Olympic Mountains. This modern residence located on a wooded waterfront property in Port Ludlow, Washington enjoys expansive views of the Hood Canal, a long, fjord-like arm of western Puget Sound.